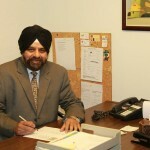 Satwant Brar facilitates clients throughout Minnesota over the years. He is always available to coordinate your sale, purchase and to optimize all future needs. Oleg Dascaliuc graduated from Minnesota School of Business with B.S in Hospitality Management. Over the years has developed great relationships with customers in hospitality sector especially in the restaurants and cafes throughout Minnesota, has had a lot of satisfied customers over the years. 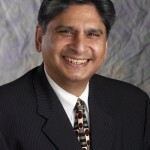 Raj Dhir is Partner – Business Development of Restaurant Brokers of Minnesota. He provides full-service business brokerage and real estate advisory services serving the hospitality industry by creating long-term value for clients, markets and relationships. He is an advocate of an open-book process to handle simple to complex site-development and occupancy-related issues involving multiple-stakeholders and is known for his creative and collaborative problem solving talent that is essential to all successful projects. Raj is passionately committed to the Total Quality Principles of Dr. W. Edwards Deming and has received several Quality-Leadership awards. He is well-versed in the areas of Financial Advisory | Information Technology | Real Estate with 40+ years of successful advisory and leadership experiences with firms such as CBRE, Ceridian, Control Data Corporation, Edina Realty, Edward Jones, MetLife and has been involved with many start-ups, including founding his own SyntheSys Partners, Inc. – a full service real estate firm for commercial | low-mid-income housing | mixed-use | residential initiatives. Raj and his wife Sangeeta live in North Oaks, MN and are very active in their local communities and various social causes. Jim Gray – his resume includes: Sales, listings, food service consulting, hospitality marketing and veterans financial information. He works primarily in the Twin City area and also has represented the Brainerd Lakes area. D.J. Sikka has owned and operated and Restaurant Brokers of Minnesota, Inc. for thirty plus years and is a highly qualified licensed appraiser and real estate broker. Tryg Truelson has been in the restaurant business most of his life, with over 25 years of restaurant management experience. He also has been involved with the development of many restaurants, from site acquisition and city approvals to building from the ground up. In addition to his restaurant experience, Tryg has many years of experience in the coordination and negotiations of commercial real estate acquisition and disposal. Tryg is a licensed real estate agent in the state of Minnesota, and works with buyers, sellers, lessors, and lessees of commercial real estate. Tryg has a passion for real estate, and works diligently for his clients, always researching best possible use, and economic solutions. David Wilcox specializes in the sale / lease of restaurants, retail buildings, and commercial properties.